The Scottsdale sales were a strong start to the 2018 classic car auction year when 33 cars sold for a million dollar and average prices increased. The Scottsdale, Arizona, classic car auctions in January 2018 marked a strong start to the collector car sale year. Although total earnings were slightly down, the number of bidders increased and average prices were higher than in 2017. The failure of the two Jaguar D-Types to sell skewed top-end numbers a bit but the underlying sentiment and prices were strong. Barrett Jackson earned a near record $112 million on over 1700 cars sold. 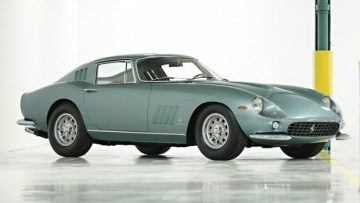 Gooding had the top result of $8 million for a 1965 Ferrari 275 GTB Speciale and sold 12 of the 33 million-dollar cars. *Scottsdale total also include results from Russo and Steele, Worldwide Auctioneers and Silver. Although the total earnings at Scottsdale 2018 were down by some 5% from a year ago, the number of cars offered was down by 9%. However, both the sell-though rate and average price paid per car went up. Hagerty also considered the number of bidders higher than in 2017. Prices include auction premium. Exclude cars sold post-auction day. 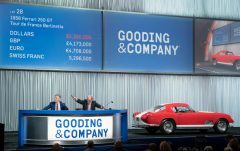 At the top end of the classic car market – Bonhams, Gooding and RM Sotheby’s – earnings were down from $123.3 million in 2017 to $110.4 million in 2018. However, RM Sotheby’s offered 32 fewer cars than a year ago. In 2018, at all the Scottsdale auctions combined, 33 cars were sold for over a million dollar compared to 35 a year ago. Gooding made the most gains here while RM Sotheby’s earnings reflected the lower number of cars on offer plus fewer top end cars. Gooding & Co, more than RM Sotheby’s and Bonhams, stuck their neck out at Scottsdale 2018 with a wider range of top end cars and was rewarded. Although the top two lots at Gooding failed to sell, Gooding offered and sold four cars in the $2 – $5 million range. 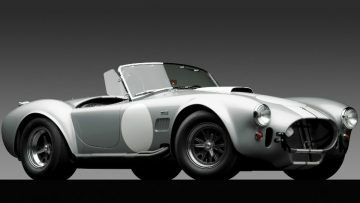 RM Sotheby’s offered only one car in this range and it sold well: the 1966 Shelby Cobra 427 Semi-Competition Roadster achieved $2,957,500 – well above estimate and RM Sotheby’s top result at its Arizona 2018 sale. The top results at Gooding and Bonhams were similarly fine cars with pedigree. The 1965 Ferrari 275 GTB Speciale that Gooding sold for $8,085,000, as the top result at Scottsdale 2018, is one-off design for the personal car or Batista Pininfarina. It set a record for a steel-bodied 275 GTB. 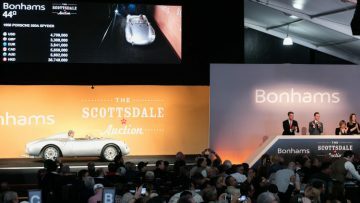 Bonhams top Scottsdale 2018 result, a model-record $5,170,000 for a 1958 Porsche 550A Spyder, was for a Porsche works entry that finished the 24 Hours of Le Mans race fifth overall. Several top cars failed to sell at Scottsdale 2018 but in several cases that seemed to have been too high expectations by the sellers rather than a lack of interest in the market. Hagerty calculated that nearly 90% of cars valued above $250,000 were bid to amounts at or above market value but that the sell-through rate was only 70%. The two Jaguar D-Types that failed to sell are good examples. 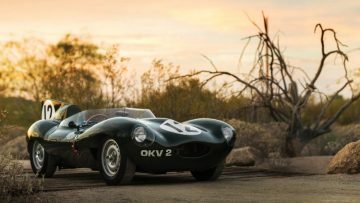 The Works 1954 Jaguar D-Type at RM Sotheby’s received a highest bid of $9.8 million while the red 1956 Jaguar D-Type at Gooding’s highest bid was $8.85 million. Both highest bids seemed fairly reasonable. Although the Jaguar marque record is $21,780,000 for a 1955 Jaguar D-Type, this car actually won the 1956 Le Mans 24 Hours race outright and is considered the only Le Mans-winning Jaguar to have survived in its original race-winning form. 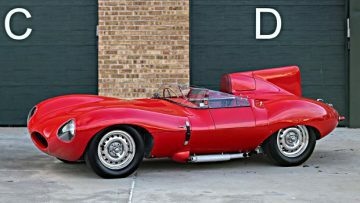 Other Jaguar D-Type results were below $5 million in recent years. Similarly, the 1939 Mercedes Benz 770 K – a big open Mercedes used as parade vehicle by Hitler and other senior Nazis – failed to sell with a highest bid of $7 million at Worldwide Auctioneers. The bid was fair and although the car has an interesting history, it is of far less historical importance than the press released claimed. 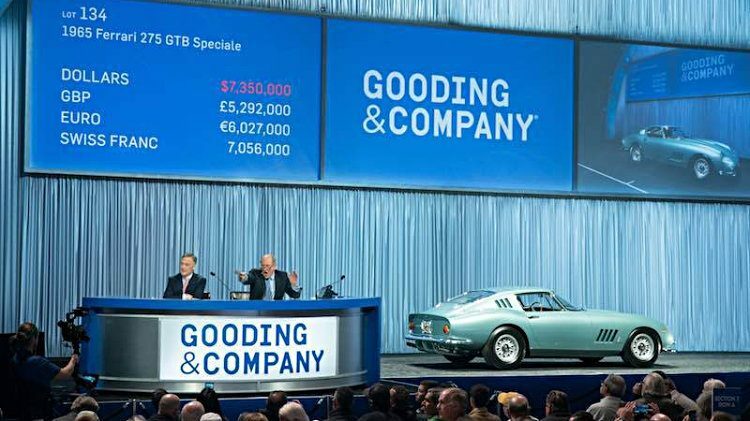 A 1958 Ferrari 250 GT Series 1 Cabriolet that failed to sell at Gooding received a highest bid of $6.4 million. If accepted, a new model record would have been set. Artcurial is offering a similar car at Paris Rétromobile 2018 with an even higher estimate – the seller may want to rethink the reserve margin. Modern hyper and super cars sold well at auctions in 2017 but in Scottsdale 2018 played a fairly limited role. 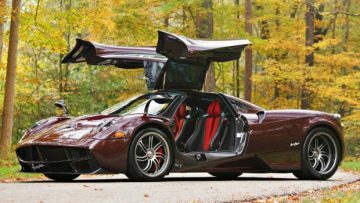 The 2014 Pagani Huayra ($2,090,000) and 2015 McLaren P1 ($1,732,500) sold for reasonable but not spectacular prices. 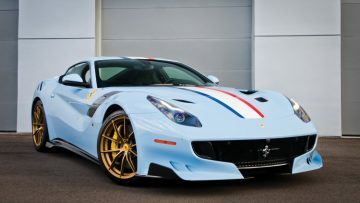 The 2017 Ferrari F12tdf ($1,325,000) at RM Sotheby’s was the third of this model to sell for above a million dollar in six weeks. A non-tdf F12 normally sells for around a million less. Only one each of the following Ferraris was on offer at all the Scottsdale 2018 auctions: A 1991 Ferrari F40 sold for a very strong $1,512,500 at Bonhams while a less-than-perfect 1995 Ferrari F50 in the same auction achieved only $1,155,000. A 2003 Ferrari Enzo at Worldwide Auctioneers failed to sell with a highest bid of $2.3 million. Spectacular Porsche 918 Spyder results may be coming to an end. 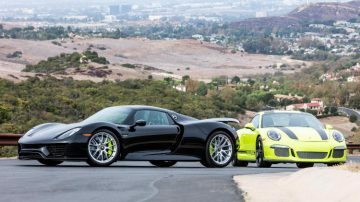 Four were offered with the $1,292,500 result at Bonhams and $1,430,000 at Barrett-Jackson the lowest ever accepted for the 918 at auction. Bids of $1.35 million at Worldwide and $1.55 for a near new 918 at Gooding were well below 2017 results and not accepted. 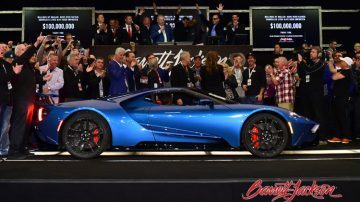 A 2017 Ford GT sold for $2,500,000 – the car new cost around half a million but was only offered to a select number of buyers. A 2018 Chevrolet Corvette Carbon 65 Edition sold $1,400,000. 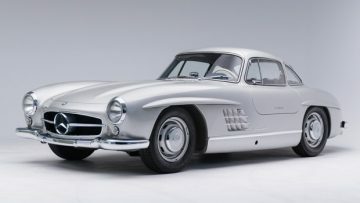 Mercedes Benz 300 SL prices have been firmer at recent auctions but offering seven at the Scottsdale 2018 auctions might have reminded buyers that these cars are still available in fairly high numbers. Gooding alone offered five (two Gullwings and three Roadsters) while Bonhams and RM Sotheby’s each had a Roadster. Remarkably, although several cars were less than perfect, six of the seven sold within or above estimate. The $1,512,500 paid for a 1957 Mercedes Benz 300 SL Roadster at Bonhams was the second highest result for the model in the past year. This car was the first Roadster imported into the USA. 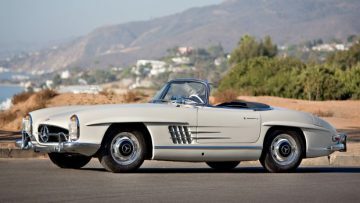 The only failure to sell was the 1963 Mercedes Benz 300 SL Roadster at Gooding that had a highest bid of $1.35 million. Giving the condition of the car, the seller probably rightly expected a higher premium over lesser cars.